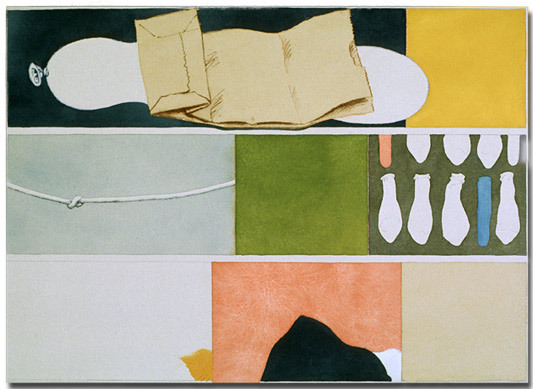 Comic Strip Series 4, watercolor, 1974, 21" X 28"
This painting was exhibited in the 36th Annual Fall Show at the Sioux City Art Center, Sioux City, Iowa in 1974. This painting was also awarded a Purchase Award with funds provided by 1st National Bank. Collection of Sioux City Art Center.